SERPDrive have been extremely helpful and provided a way for y'all to test it for free here before you ever drop a dime. This means you'll be able to pickup a few domains before ever spending a dime. They've also promised to routinely look through the comments of this post, to make sure any feedback is heard and any required development updates are made. SERPDrive has to be the best expired domain crawler I've ever used. It's not perfect, but it's just extremely easy to use and takes little time for even a beginner to get to grips with.​ Considering it's a brand new SaaS it has to be given some major props for what they've achieved already. It doesn't matter if you're a pro or a complete noob at finding expired domains (for your PBNs, 301s or money sites) SERPDrive is the easiest and most cost effective solution on the market right now. It's also got a ton of development going on as well, so get in early before they jack up prices. As always with my reviews, I start off covering all of the negative points I found first, just to get them out of the way. Don't worry, the positives FAR outweigh the negatives. Note: After making the owners of SERPDrive aware of this flaw, they fixed it to show the best referring domains (DoFollow) rather than a sample of the best backlinks. This has fixed this negative point, and they fixed it within a matter of hours of being made aware of it. This shows how good the development team behind this crawler really are. When you complete a crawl, you'll be given a list of available, ready to register domains. You can then expand this view to find out more details about the given domain. One of these really useful features, but arguably as of the time I'm writing this review - one of the most flawed. Is the list of backlinks pointing to the domain. Unfortunately SERPDrive doesn't really do a great job of showing you the standout referring domains. I manually assessed each of the domains I got back from my crawl with Ahrefs and found that some of the domains had backlinks from sites such as Wikipedia, HuffPo etc. While the Ahrefs API is rather grossly over-priced, it's definitely something I'd of liked to have seen on SERPDrive. The integration of the Majestic API is an absolute must-have, but to have some additional information from Ahrefs would be superb. I feel Ahrefs does a much better job of crawling the web and indexing links at the moment, and it's always good to have two sources rather than one. These guys have done an incredibly good job of making their crawler 'idiot proof'. There's literally not a single person who couldn't figure out how to use this and find domains to register. First of all you can either choose a seed list of your own, or one that they've already got hidden away in their database. Which makes it really easy to find niche related domains. All you need to do is tell them the niche you're looking for and go from there with the sub-niche, you select the TLDs you're targeting then you click a button to get started. You'll get an e-mail back within 2 hours when the crawl is complete. Another huge thing about this expired domain crawler for me was that you can use an unlimited amount of seeds. Considering you're charged per crawl, rather than on a monthly subscription basis, this means that you can create a huge seedlist and get a LOT of value for money. During the process of the crawl, SERPDrive will automatically spam check domains for evidence of misuse in the past. On top of that it does as I've mentioned already, automatically filtering out any domains that aren't available to register. So none of the domains you're returned are going to be auction domains or anything like that!​ Pure expired. As I already mentioned, SERPDrive have the Majestic API integrated into their system to give you a good overview of statistics about each available domain they return to you. Arguably the most useful part of this isn't actually the TF/CF Metrics but it's actually the topical breakdown, for me this makes it extremely easy for my agency to quickly identify domains that are topically relevant for whatever it is we're looking for at the time. As well as being able to get a quick overview, you can also expand any of the domains you're returned to get a more detailed analysis of each domain. You'll get to see some of the anchor text that's linking to the site, which is incredibly useful if you're wanting to make sure the domain is spam-free. At this point I'm sure you're wondering whether SERPDrive is all that good at actually providing decent domains. The screenshots I've used in this review are all from one of their own seedlist crawls, and on average the domains I got returned were above TF 20. I also did a crawl with one of my own seed lists, where again I was getting very consistent results. TF 25-30 on average and when I corroborated this with Ahrefs most of the domains I got returned from the crawl were above DR 30 - Which is the standard metrics most domain vendors will give you, at a price more like $12/domain than $12/crawl. The greatest thing about SERPDrive in my opinion is the pricing... You'd expect something that's as good as it is at what it does to come at an expensive price point and maybe even bill you monthly recurring. However it's not the case, you can use SERPDrive on an as needed basis by topping up your account with credits. It'll cost you just $12.00 per crawl which is pretty amazing in my view. On average, you're going to get back around 100 domains from a crawl according to their FAQs, however I got a lot more than that when I used my own seed lists. One of the added benefits of SERPDrive is that you can use their spam check feature to upload a list of your own domains into. This is pretty good if you're using some other method for expired domain crawling as it'll cost you just $0.01 per domain, with a minimum of a $10.00 top up.​ Meaning for just 10 bucks you can check 1,000 domains at a time. 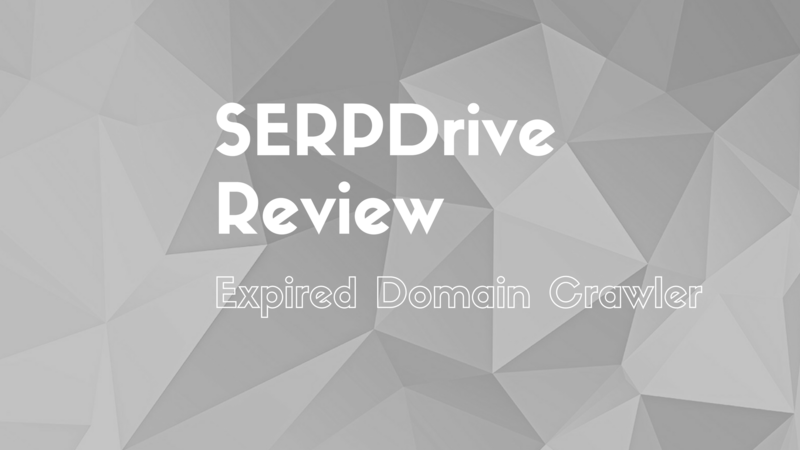 Overall I think that SERPDrive is the best expired domain crawler ​on the market, and for me it's become a must-have SEO tool for building out my PBNs. Just wondering what do you think about DomainRonin? Eh, it’s desktop based which means you either need a server or to take up your own computers resources.. SD is browser based, so you don’t need any extra resources, just let it run. Yes I agree with the desktop based tool is a pain…anyway I just started one crawl on serpdrive…. Just wondering… do you generate your own seedlists or you use the automatic ones? 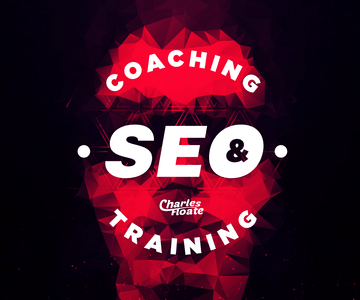 Hey Charles I used this over the weekend and wow everything you said is 100% definitely using this from now on, I whish they would teach the Average Joe to create seeds as this part is where users will struggle with I think. With the crawl I found that lost of European domains came up and not that much .Com , I didn’t quite get the domain selection part before you crawl, I didn’t click on any of the tdls and got a mixture. I then sorted though the domains and picked up some awesome domain 7 in total of the 97 they sent thought. Because I found that many returned domains with blogspot links to them, something I don’t really like. With that being said I found that some domains were registered and had 301 to other sites. But hey nothing is perfect and work is in progress as you mentioned in the beginning of this post. All in all from all the scrapers that I have used this one is the fastest and brings back the best results that I have ever been able to find. Well done to the team. Also just by having your testimonial on their site made me not think twice to even put my money down, I mean come on its only 12 bucks man I hope they keep it nice and cheap. Hey Pierre, glad you’re enjoying it so far! There will likely be a few problems here and there, but overall 7/97 domains is pretty damn good. Glad to hear it, have a great day. 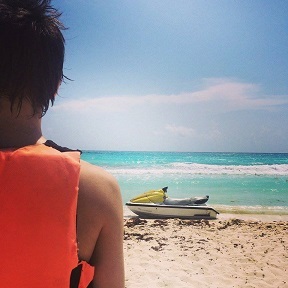 Hi Piere, Will here – I’m one of the SERPDrive founders. Glad you’ve managed to find some good domains from the software. When you run a crawl, please make sure you remove any local TLDs that you don’t want to include. We give the option to add/remove these TLDs. All international TLDs such as .com, .net & .org are automatically included. If you remove the local TLDs, you should get many more of the .coms. We plan to publish some tutorials on manual seedlist building so keep an eye out for those coming soon. If a domain appears in your list, but when checked is no longer expired, it’s quite likely this domain may have already got bought up by someone else who found it. We recommend viewing the results as soon as they’re available so you can snap them up, before anyone else finds them. Hope all that answers some of the queries you had about the software. @Will It’s somewhat unclear on how to include/remove TLDs you do NOT want. I ran a crawl without any international TLDs ‘checked’ on the input box…but I got tons of international TLD domains in my crawl results. So if I do NOT click “All TLDs” button, it should NOT include results other than .com, .net, .org, and .info –> Is this correct? If so, it didn’t work that way. Aside from this, I’m really excited about this tool and plan to use it often! Also looking forward to more details on proper seed lists. @Charles – PS – thanks for the review and the heads-up on this! Hi Kim, there was a little bug in the system yesterday that we’ve now fixed which was letting all the TLDs through (apologies for this, these things can happen early days with a new software). If you run a crawl now, anything that’s not included within your TLD choice should not be offered in the results. We do always include international TLDs though as they’re useful for all nationalities. Do bare in mind that there’s less national TLDs that expire, so some crawls may get back less, some may get more – it can be quite random. We recommend trying the manual seedlist option and only include domains with the chosen TLDs you want. You’ll need 2k of these. Thanks for this, the domain that I said had a site had a huge site and, it was right after I got the crawl, I know that domains dont take long to get registered. I was actually checking them while the crawl was at 50% hahah. I can send you the domain so you can check it out. Also I would like to suggest that you filter out blogspots for your spam checks or am I just being to hectic? Hi Pierre, we’re integrating a new domain availability checking measure this week which should avoid the software showing any domains in the results that aren’t expired. We’ve seen there are some anomalies that appeared in the results this week but we have a fix that will be completed in the next couple of days which will remove these incorrect results. We’ll do some analysis in to your blogspot request and see what can be done. If you have any more feedback feel free to send it to me via support@serpdrive.com or catch me on the chat facility on the Serpdrive site. Great review. Thanks for making me aware of this. Some of my domains got dexed, so this is great timing. Going to give it a spin. Hey Charles, is buying domains at auctions better than getting expired domains? Depends on the price. Godaddy auctions is mostly auctioning expired domains anyway, but other auctions will mean you get age on the domains which is better, but they tend to be more expensive. Useless for me bc I need with my CTLD. But seems this would be a usefull tool to the people with big markets. Which CTLD? I’m sure Will can add any they don’t already have. Great review Charles, thanks for posting. I’ve been looking for a solid tool to scrape domains in this wacky yet profitable niche I’m going after. Can’t wait to try it! First, I tried the spam checking tool. Also very cool. Question on the spam tool: I ran 29 domains and 6 came back as passing the spam filter. 9 of them came back with the error ” Majestic check failed: TF, CF and Backlink matrix check failed for generic domain.” This seems like a very general statement that doesn’t give a real reason. Half of these were purchased through PBN HQ which is strange (they tend to find clean domains). It may just be that the API of Majestic was messing up due to so many people using the service, this review has referred a LOT of signups in the past 24 hours. Or it could be that the domain has no links, check it manually in Majestic and see if it pulls anything up. I’ve stalked these domains to death through Majestics and Ahrefs. Some have great links. Some terrible links that I ran on purpose (the spam check caught those straight away). I have a fair knowledge at what to look for with backlinks, but since I’m new to this (I’m a sales copywriter by trade, just looking to dominate a single niche), I’m looking for as much verification as I can to ensure I’m investing in the right domains. However, this “generic” response I received needs clarifying. I’m curious what specific metrics trigger that response. Thanks for the reply. I’ll run it again and later today and see what happens . Hi Adam, after this feedback we’ve decided to add the specific reason why domains fail the checks, so thank you! The results will now have this new information included by next week. You’re welcome Will – thanks for being so responsive via chat. I’m glad my suggestions can help you improve your software. The more specifics the better! I can see this evolving into some sort of multi-faceted “health score” over various factors, with different reasons given different weight. That’s clearly a long term vision – something visually gripping like Majestic, with their colored charts and graphs. For now, it might also be good to post your minimum qualifications somewhere. For example, you told me that “All domains with RD under 10 are signaled as Spam.” If those details were posted in an index of some sort, it would help make your awesomly strict guidelines more clear. Or even, a table with “yes” or “no” check boxes that run through each thing you test for to display which signals it passes, and which it fails … so it’s not “all or nothing” when some things, like RD, might not be a deal breaker. For someone like me who is still new to expired domains, the more data I can quickly understand, the faster I can learn how to determine domain quality for myself. After learning about PBNs about 3 months ago I’ve probably bought about 50 spammed-to-death domains I could have avoided with your software. From a newbie perspective, a tool like this really speeds up the domain buying process and can short cut anyone’s learning curve by half (or more). I tested out all the domains from SERPDrive. They all were below the average. I found only one domain having 2-3 good links. In my opinion, if anyone decides to buy the domains crawled by serpdrive, then just double the number. Like if you have budget for 10 domains and using SERPDrive, then just double it…Consider using 20 domains from it. It doesn’t provide the powerful domain as a user wants. so you will need to increase the number to affect the ranking. Moreover, I found that domains were clean through manual spam inspection. Rather scrape manually by using scrapebox and xenu. They do better job. You will find less domains, but they will be good domain as you expect. I used my own custom 2k site seedlist, and bought 4 of these domains.. Considering my expectations are very high, 4 is a significant amount for just $12. 1 of the domains had Dofollows from Moz, Business.com, Web Gnomes and Advanced Web Ranking (45 RDs) – Easily worth $3. we can easily find such domains having links from 3-4 authority sites. I know you are a big marketer. But If you want I can get you such domains. Being an expired domain seller. They aren’t holding much worth for me. For a direct buyer, $3 for a domain is a good deal. So whats the ideal plan for these domains? Rebuild from the waybackmachine cache and add links to our money sites? Or just 301 the entire thing? Up to you, most people will use it for PBNs and use either Wayback or a WP install. Can someone point me out where I can learn how to create a good seed list? I believe the SERPDrive guys are working on a video at the moment.